A large amount of a child’s time is spent sitting in a school classroom. A classroom is a place where they will learn the various skills deemed necessary and proper for them to achieve success in the global society. The classroom is where they will gain an understanding of their place in the world and the gifts that they have to offer it. It is where the children develop what they want their future to look like, as well as knowledge of the skills needed to reach that goal. At Florence Melly Community Primary School, we view the classroom as such an important place in the growth of a child. We believe that if schools really do play a large role in teaching the next generation how to be successful members of society then every precaution should be taken to make sure that the learning environment is one that helps students thrive. If not approached correctly, a classroom can be set up in a way that stifles creativity or does not promote a positive learning environment. There are many things that can affect this environment. There are physical elements such as wall art, arrangement of desks, or resources. Also, there are intangible elements such as the energy of the classroom, the rules, or the sounds within the room. Each of these can impact a student’s focus and achievement in the class. 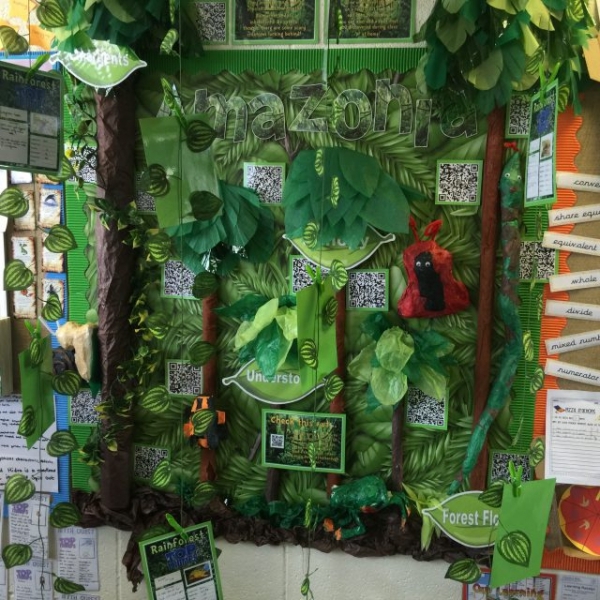 Check out some of the outstanding classroom environments we have at Florence Melly and some of the fabulous displays from around our school.